As temperatures dip and we find ourselves looking for our sweaters, we know that soon we’ll be battening down the hatches and tucking in. In the shorter days of Autumn, we look forward to soup season. 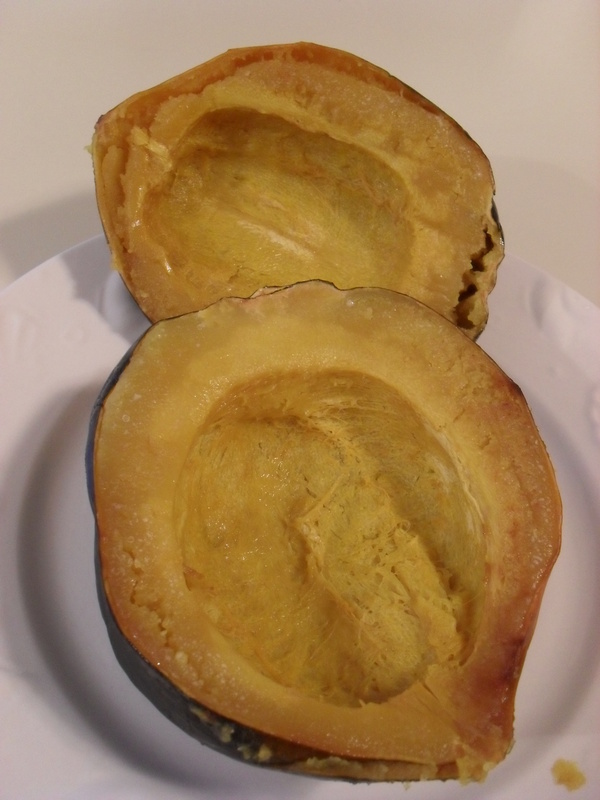 One of our favorites is Baked Acorn Squash and nothing brings out the flavor like baking it! It also warms up your kitchen. This savory roasted soup blends well with the resinous rosemary. 1. Split one acorn squash and remove seeds. Salt lightly and turn face down on a parchment-lined pan. 2. Cut the tops from one head of garlic and one small white onion, drizzled with olive oil. sprinkle with a pinch of salt and wrap each in foil and set them on the baking pan. Place all inside a 350′ oven (or toaster oven) for 35 to 45 minutes. It is done when a fork inserts into squash easily. The Acorn squash turns a beautiful nutty brown on the cut face and is yummy enough to eat with a spoon. Let cool until you are able to handle it comfortably. It should be very soft and separate from the shell easily. 3. Meanwhile, pour one quart of veggie broth into a stew pot and allow to warm. Carefully add the squash to the broth. 4. The roasted garlic is now the consistency of paste. Squeeze three cloves into the squash mixture and blend in with a fork. 5. Chop the roasted onion and tossed it in the broth. Add the rosemary and let it simmer another 15 minutes. We use a stick blender to smooth it out. If it’s too thick, adjust by adding more vegetable broth or water until you get the consistency you like. Serve with a little kimchi, green salad, and some brine crisps and you’ve got dinner for four. If you happen to enjoy roasted garlic, you can also spread it on crisps.